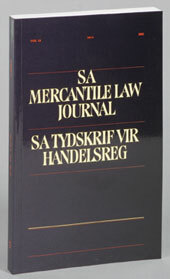 Dr Beric Croome: Review of "Taxpayers' Rights in South Africa"
The following book review of my book Taxpayers' Rights in South Africa first appeared in the South African Mercantile Law Journal. You can find out more about this respected law journal by clicking HERE. In a society in which consumers are regularly reminded of their rights and in which consumer rights are protected at every cost, a constant question seems to be whether taxpayers, when dealing with revenue authorities, can be classified as consumers. Consumers may freely choose which suppliers they wish to support on the basis of client service, quality of goods and the type of consumer rights available to them. However, taxpayers have severely unequal relationships with revenue authorities and cannot choose freely whether they want to enter into a relationship with the fisc. A good tax system is based on the principles of equity, certainty, convenience, efficiency and neutrality, but it is often difficult to ensure an economically successful tax system based on these principles and giving effect to consumer rights in an open and democratic society. 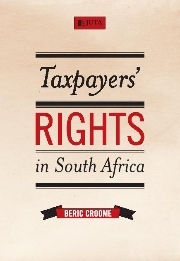 Beric Croome has excelled himself in his evaluation of the powers conferred on the commissioner of the South African Revenue Services (SARS) against the rights of taxpayers as enshrined by the Constitution of the Republic of South Africa, 1996 and embodied in the revenue laws, the Promotion of Administrative Justice Act 3 of 2000 and the Promotion of Access to Information Act 2 of 2000. ﻿﻿Croome has brilliantly managed to create an excellent guide to the taxpayer’s rights against the powers of the Commissioner for lawyers, accountants, academics, bankers, students, company directors but also the taxpayer as layperson. Taxpayers’ Rights in South Africa is by far the best text available on the rights of the taxpayer against the South African Revenue Service. In the eight chapters spread over 322 pages of text, Croome successfully explains the taxpayer's rights to property, equality, privacy, access to information, administrative justice and access to the courts. In this difficult and complex field of taxation, Croome manages to explain the intricate details of the taxpayer's rights with such precision that even a layperson would be able to understand them. Each right is carefully examined, explained and tested against the limitation clause in s36 of the Constitution before a conclusion is reached on the enforceability of the right against the Commissioner. The powers conferred on the Commissioner by revenue laws, including the right to searches and seizures (under 74D of the Income Tax Act 58 of I962), the right to appoint a financial institution as debt-collecting agent (under s99 of the Income Tax Act), the right to impose penalties and additional taxes (under ss75 and 76 of the Income Tax Act) and the highly debated 'pay now, argue later' principle are carefully examined and tested against the Bill of Rights. 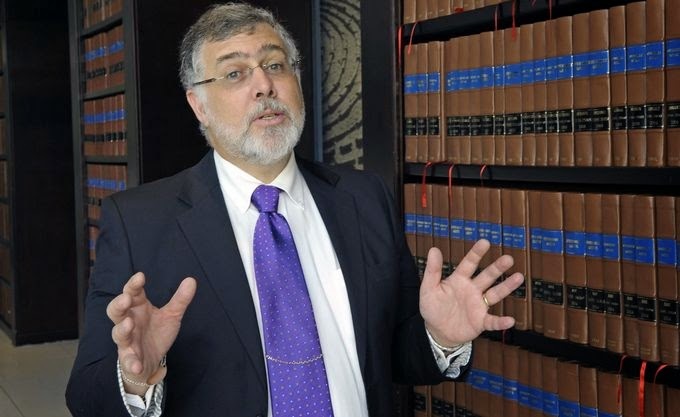 It is a common misconception that taxpayers who have experienced difficulty or bureaucratic behaviour from SARS officials have to approach the expensive court system to have their rights acknowledged and enforced. Croome carefully examines other avenues of enforcing the taxpayer's rights, including the Public Protector, the Human Rights Commission, the SARS Service Monitoring Office and the taxpayer’s right to refer a dispute to alternative dispute-resolution (ADR). In his treatment of the rights mentioned above, Croome not only discusses the South African position, but also refers to other jurisdictions in which the enforcement of the right has been decided in a court of law. This comparative research not only ensures an interesting read, but also enables a taxpayer (in most cases, the taxpayer’s legal counsel) to gain knowledge of foreign jurisdictions to enable him or her to prepare the case against the Commissioner more thoroughly. Chapter Seven deals exclusively with foreign jurisdictions. This book is not merely a theoretical regurgitation of the current law, but it also contains practical examples and step-by-step instructions relating to the legal process to enforce rights against the commissioner. The schematic explanation of the process of objection and appeal and the subsequent explanation of the taxpayer's rights if the Commissioner fairs to adhere to its own rules can be used as a quick reference guide by attorneys, accountants, students and other tax consultants. Croome not only states the legal or constitutional problem at hand but also guides the reader to solutions within the ambit of current law. This book is a must for any tax practitioner, businessperson and even layperson who regularly deals with SARS. Croome has successfully compiled a book that can be used as a guide, a basis point for further research by academics and, above all, serve as a very interesting read. What impressed me most was Croome's meticulous discussion of the individual rights from a consumer's point of view, considered with the careful eye of a tax practitioner. The book is unlikely to lie about gathering dust, but should instead become grimy and tattered from daily use.